You are here: Greenwich / Andrew Gilligan / Andrew Gilligan: Where have all the shops gone? The local shops are probably not helped either by the closure of most of the main roads into Greenwich due to utility companies continually digging up the main roads especially Greenwich High Road which seems to have been closed for 2 years out of the last 3 years. No compensation is offered unless you are the National Maritime Museum! “We are most definitely proceeding with this project. The money is fully commited and we are holding a public exhibition of our initial design proposals in July, with a view to applying for planning permission in the autumn. I will let you know more about this soon. So what was stopping the market staying on until construction works began? There’s a lot of talk about rebuilding, but where are all the mockups? With all the cuts in university funding to come, it’s likely that the Stockwell Street project will be cancelled. If there isn’t even enough money for what universities are doing already, what chance does some flashy new project have? The buildings in the university site are currently being demolished, so I doubt the village market could continue through that. We are missing the markets in Greenwich so I was thinking where else could they go? Well, I appreciate that it is a residential street but what about Nevada Street right down into King William Walk? Close the road to traffic, maybe on Sundays only, and have the market all along and down the road. It isn’t a main traffic thoroughfare and it is on the main route into the park and would be for one day per week only. Instead of problems, lets find solutions. 25 to 30 residents MAY be put out for 12 hours P/W but to be honest, other than car parking space I’m sure they wouldn’t even notice the difference. 1. The university has been busy on the site since we bought it, as we want to bring it back into use as quickly as possible. We have cleared rubbish, surveyed buildings and rationalised services such as water, gas and electricity. The current phase of works involves archaeological, ecological and geological surveys along with dismantling some of the disused buildings. Detailed studies include the digging of test pits to look at the archaeology of the site, which has been in use since at least the medieval period. Initial research indicates that building work over the centuries, and war-time bombs, have destroyed evidence from early periods, but the university will pay special attention to what remains of the 19th century maltings, which once supplied ale to the Spread Eagle Tavern. Another investigation will establish whether there are still old petrol tanks beneath the forecourt of the disused petrol station on the site. If necessary, an expert team will carry out clean-up and remediation works. We’re starting as we mean to go on, by putting environmental sustainability at the heart of the project. 2. Our initial design proposals will go on display for public consultation in July. More on this soon. 3. Lastly, just to reassure everyone, the funding for this project is fully committed. We have the money and the project is unaffected by cuts elsewhere in higher education budgets. Caron – do the right thing. Give us a market space within the development. It’s a huge site, you have the space to give us what we’ve lost. You’ll be helping the community, ensuring Greenwich remains a tourist destination. This is a town centre for heaven’s sake. Surely we want a mixed use development with more shops (for locals) AND space for a market , rather than have one institution dominate the whole site. The university’s plans will be no more than a glorified office block, with only limited access at best for the general public. And it means the entire town centre will dominated by just two non-accountable institutions–the University and (the embodiment of all that is evil) Greenwich Hospital. Thriving local communities cannot operate on that basis as the University’s architecture department should jolly well know. University architecture department? OMG its worse than I thought! Almost every educational institution I have ever visited has built ghastly, cheap-looking, concrete, style-free examples of the worst of modern architecture. Lets at least hope that we don’t get something that look like a communist block housing estate. Think I’m joking? Have a look at Southbank University, UCH, Oxford, etc, etc. From that picture it’s clear to see that there won’t be any space for a market, as the whole site will be filled with six large buildings looming over the surrounding area – apart from St Alfeges and the Borough Hall tower, it seems clear that the new campus will easily be the tallest structures in Greenwich. Seems surprising that they would try to dominate a World Heritage site in that way, but I guess that’s the way of the world now: architecture has moved from working with the surrounding landscape to standing apart from it. Thanks for the link David. It does look spectacularly hideous and out of scale. Looking on the bright side, I think that many institutions will find over the coming months that “fully committed” funding has suddenly evaporated in the government’s spending review. That’s probably the only hope for Greenwich town centre, unless we want to be a global showcase for Stalinist Revival architecture. Surely if they press ahead with this, there will be an almighty planning battle with the locals. It will make the battle over the Disneyfying of the market look like a picnic. What is the University’s Plan B if the funding disappears? Can we have our market back? Can we have mixed use? Can we have localism, not Stalinist vanity projects? I know this is more about central Greenwich, but as an aside the Trafalgar road is pretty bad for empty shops at the moment. I agree no one is taking a holistic view of things, if the attractions for tourists are diminished and the transport connections are cut, well, Greenwich can’t keep taking it without going downhill. 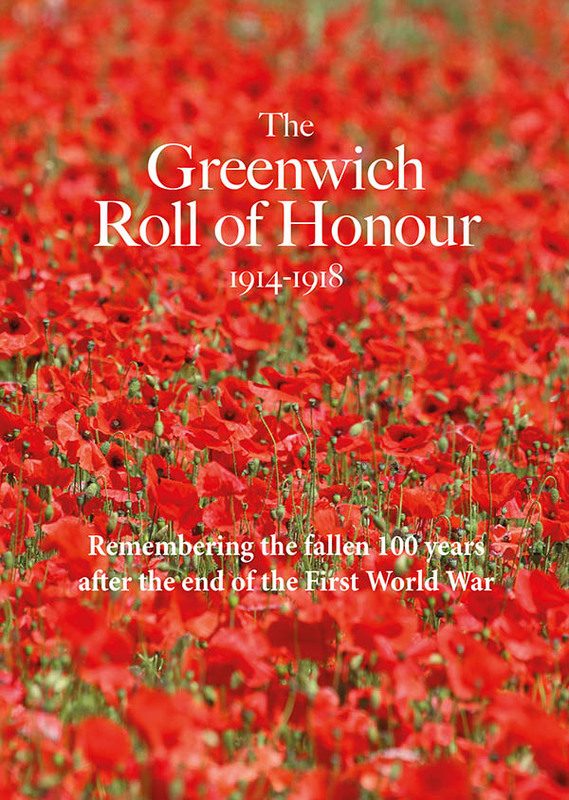 The Greenwich Town Centre Agency comprises of local residents, businesses, The World Heritage Site, voluntary and community groups and Greenwich Council. Its aim is to achieve improvements for the quality of life for all residents, visitors, workers and businesses to enjoy. The agency has some major developments on the way, which will help improve and enhance the area with quality building design and a mixture of restaurants, offices and town centre living. Joe – its a council run meeting which local residents and representatives of local groups attend. I don’t know much about it – outside of my patch – but we do have a similar East Greenwich Management group which meets every two months and addresses all the usual local issues. There is also a Town Centre Manager who works locally and tries to sort all this out – ie she has co-ordinated the flower baskets now in Trafalgar Road which were funded by the local traders. She is also trying to find out about why various shops are empty and what the owners are doing to try and let them. Clearly the address given is wrong – Lovell House was demolished a couple of years ago!! They are now in the offices which are on the south side of the Discover Greenwich site. Many more shops are on the verge of extinction with the proposed painting of Nelson Rd. Mary – how do local people get involved with the Greenwich Town Centre Agency and the East Greenwich Management group? So few people know about these groups, it’s almost like a parallel version of democracy going on. That’s shocking news about Nelson Road, Paul. This might be completely untrue but it has been alleged that one shop keeper was paid a very significant amount of money to leave Greenwich early – ie before their lease was due to expire. Presumably if there are no shops left around the market those seeking to profit from its redevelopment at the expense of local residents will succeed. Oh dear – I saw the photo on http://www.gre.ac.uk/stockwell-street and just assumed this was a box building to indicate location – I didn’t realise it WAS the building! Not particularly inspiring, and yes, as per above, where is the market?!! I know it is a university, but surely it could be incorporated? I would even be happy to grant them planning permission to build higher so that they we could have the ground floor for market/shops. This might be completely untrue but it has been alleged that one shop keeper was paid a very significant amount of money to leave Greenwich early – ie before their lease was due to expire. It is true. I know of one, anyway, which may not be the same one of which you are thinking, and there may have been others. The article at the beginning of this page bemoans the number of empty shops in Greenwich. The last few comments have asked for more shops as part of the University complex. Why would the council/university be paying shop keepers and businesses to leave Greenwich? It’s not the council or the university – it’s Greenwich Hospital, who own the covered market. They want everyone to vacate the shops facing the central, cobbled area, so it’s easier for them to push through their dodgy, mendacious redevelopment – you know, the one opened to public ‘consultation’, in an exercise which didn’t happen to mention how the Edwardian buildings on Durnsford St would be demolished, and where they floated the notion that all the market traders would like the cobbles ripping up, please. Greenwich Council for once showed some backbone and threw out their application – but Greenwich Hospital are now spending a fortune on lobbyists and barristers to bypass your elected representatives, and get the inspector in Bristol to pass a modified version of the scheme. If they can show lots of empty shops in the main area, it helps support their assertion that the market needs ‘reviving’ (for which read, bulldozing). But doesn’t some of the blame fall on the residents of Greenwich who took the snooty attitude that they wouldn’t like to see something like Westfield in the area? I personally think a shopping centre would be perfect for the old hospital site. And I see no reason why the market couldn’t and shouldn’t stay where it is and be allowed to thrive. Moving the market will kill Greenwich, it’ll kill everything that everyone has forever loved about Greenwich, but perhaps not allowing the town as a whole to grow and move with the times in it’s own way has effectively triggered this. Greenwich locals certainly took the attitude they didn’t want the covered market to be turned into a sleek, airbrushed new development with a neat new floor and a plastic roof, with the existing traders moved away for two years so their businesses die. They were entirely right, as airbrushing away the market’s texture and history will kill it, and make Greenwich a less attractive destination. I don’t call that snooty – I call it good sense. Snooty was in direct reference to refusal to allow a shopping centre/mall in Greenwich. The East Greenwich old Hospital site is perfect for something like that and if anything generates more traffic into the area. I think we all want to see the market remain as is and where it is. It’s just that the snobs who get the official say cannot see where there small-minded attitudes have landed them. As such, the battle is over the market where by there should be a market at one end of the town and a shopping centre at the other. No it’s not – how do you think people will get there? Woolwich Road, Trafalgar Road and Blackwall Lane are packed as it is – and there’s retail parks in Charlton plus shopping centres in Lewisham, Woolwich and Canary Wharf if you feel the urge to splurge. How would they get to the market? How are people expected to get from Greenwich Station to the o2? How do people get to Bluewater? And while you may have had somewhat of a point in mentioning Lewisham. Charlton and Woolwich are a far cry from anything decent. Not to mention in terms of Greenwich, I was thinking something a little more up-scale ala Westfield. In an ideal world, the site would’ve been housing as per the original plan but that doesn’t seem to be on the cards now, so at least do something good in the area that will bring business to the area. What the heck has the Heart of Greenwich scheme got to do with the covered market? It’s in a different area, and has no bearing on it. The Heart of Greenwich scheme fell apart because of the recession, not because of public opposition. If you want your own Westfield in Greenwich, feel free to campaign for it, but don’t cloud the issue of a market that’s been drawing people to Greenwich, that offers something unique – unlike Bluewater, Westfields or Charlton Retail PArk – and is in peril from people who don’t live in, don’t understand, and don’t live in this area. Sorry, you have no idea what you’re talking about if you think a huge shopping centre on the old hospital site is a good idea. We’ll be in the shadow of a Westfield in 2011/12 anyway – Stratford City, a short dash across the river. I think this has a bearing on the debate over shops and the health of the town centre–and the surrounding area. Can I urge everyone to go and have a look at the University’s proposals for the Stockwell Street site (the old open air market) on show right now in the Naval College. It is a gigantic impersonal office block with no, I repeat no, public space whatsoever, never mind room for a market. Even the private construction groups who tried to develop this site offered some open space for the public, such as a square behind the street line. So the University is offering locals even less than the greediest quick-buck merchants ever did. Do go, and do please object..
That there will be no public space on what is private land shouldn’t be a surprise. The fact that for 20 years there was a market on the site for two days a week probably doesn’t justify every future owner having to retain it forever more. For the other five days a week it was a private car park by the way and not open to the public. Why not put a new market at Cutty Sark Gardens instead? Can I suggest that there’s a shiny new post especially about the Stockwell street development here and that’s probably the best place to discuss that issue. I understand comments there will be read by staff at the University, although obviously the best way to give feedback is to go along and give it directly.